For your enjoyment and for anyone who has read Caveat Emptor: The Secret Life of an American Art Forger by Ken Perenyi This issue of OZ magazine is a must have. See photos! This January/February 1973 issue # 46 is the issue in which Perenyi's fantastical painting was published as the cover for OZ. This issue also has a one page ad for the movie A Clockwork Orange. Oz was first published as a satirical humor magazine between 1963 and 1969 in Sydney, Australia and, in its second and better known incarnation from 1967 to 1973 in London, became a controversial "psychedelic hippy" magazine strongly identified with the underground press. Spiral bound paperback. Tight binding Unmarked text. Front cover smudged. Originally published as editorials by the Republican Journal, Belfast, Maine, 1999 - 2006. Piszcz was an award-winning reporter, garnering state and regional honors for his reporting and for his editorials and opinion columns. According to Dan Dunkle, editor of The Republican Journal, Piszcz was a beat reporter, and "he did a good job at it." "But his real passion and gift was writing for the opinion page," Dunkle said Wednesday. 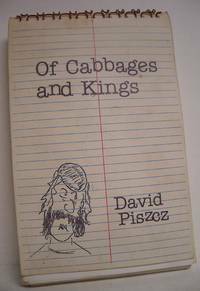 "He wrote editorials and a column ‘Of Cabbages and Kings’ that was generally political. He had a nice way of writing, and I think it was a high point of his week." Paperback. GOOD. Publisher: Cambridge, NY: Natalie Slohm Associates Inc. (1978). 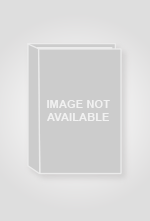 ; Stapled photo-illustrated wrappers, 8vo, 80 pp. First edition. Photo illustrations of the author throughout, from her personal collection. Also, a substantial prose introduction by the author as well as many paragraphs of explanations of individual poems appended. An absorbing work. Near fine with light dust-soiling, slight tanning to spine. Oil and the Maine Coast: Is It Worth It? Two volumes complete. Hardcover. Very Good 2 volume hardcover set in Fair - Poor DJ's protected in Mylar. Each: Tight binding, Unmarked text (Used stamped on Title page) Science. Used - Very Good. 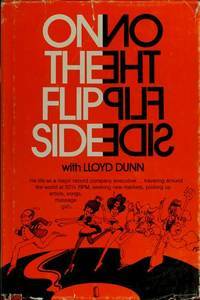 Second edition, reprinted 1972. Tight bindings, Unmarked text. VG DJ with a few small tears, protected in Mylar. Used stamped on title page. Size: 8vo; 1116 pages. Contents: Introductory. On Magnitude. The Rate of Growth. On the Internal Form and Structure of the Cell. The Forms of Cells. A Note On Adsorption. The Forms of Tissues, or Cell-Aggregates. On Concretions, Spicules, and Spicular Skeletons. A Parenthetic Note on geodetics. The Equiangular Spiral. The Spiral Shells. (Science/Nature:Biology Science/Nature:Chemistry Science/Nature:Physics Science/Nature:Mathematics SCIENCE BIOLOGY BOTANY MATH MATHEMATICS GEOMETRY GROWTH FORM) There is an extra Postage charge for International shipping beyond what is stated. Hardcover. ACCEPTABLE. 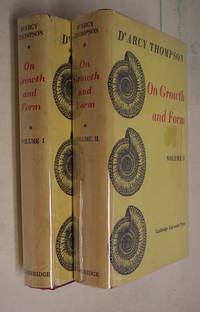 First Edition of first hardcover edition. 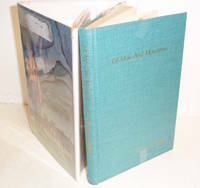 Dust jacket is in library style protective plastic cover with brown re-enforcing band at top and bottom folds. DJ was glued to book but has seperated from the front board and partially seperated from the back board leaving glue residue. Glue residue on frontice from a bookplate which is lost.